If you’re using the Vikings’ game against the Seahawks on Monday night as an opportunity for a long weekend on the West Coast in December, come chat about the team and the game with us on Sunday night. 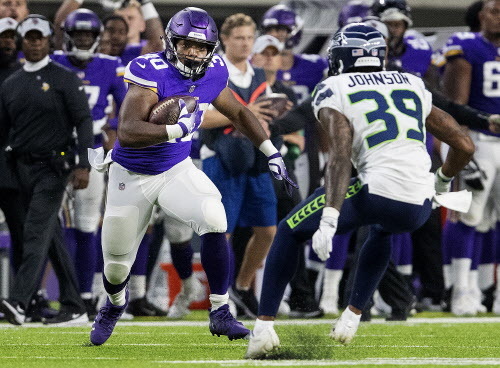 We’ll be at Buckley’s in Belltown — the unofficial Vikings bar in Seattle — at 7 p.m. Pacific Time on Sunday night for an informal meetup to chat with fans. Andrew Krammer, Chip Scoggins and myself will be on hand for the event, and we’re looking forward to hanging out with a number of you, watching the second-half of the Bears-Rams game and answering your questions about the Vikings and where they’re going from here. You can find a few more details about the event on our Access Vikings Facebook page, as well. So come on out, bring your Vikings questions and spend some time with a few of our reporters the night before the Vikings’ big game in Seattle. Hope to see you there!